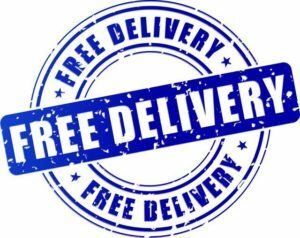 To customers within the UK, we offer free delivery on orders over £25. For orders under £25, there is a small charge of £2.90! To customers within Europe, we offer free delivery on orders over £60. For orders under £60, there is a charge of £10! For areas not covered above, we are unfortunately unable to offer free delivery. There is a charge of £18 for all orders!